Distributes new and replacement medical components and battery packs for medical applications. 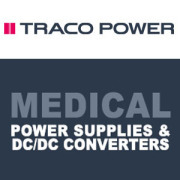 Magic Power Technology GmbH manufactures power supplies for medical applications. The company develops and manufactures standard and customized power supplies from 5W - >1000W up to CF class in mostly fanless mode.